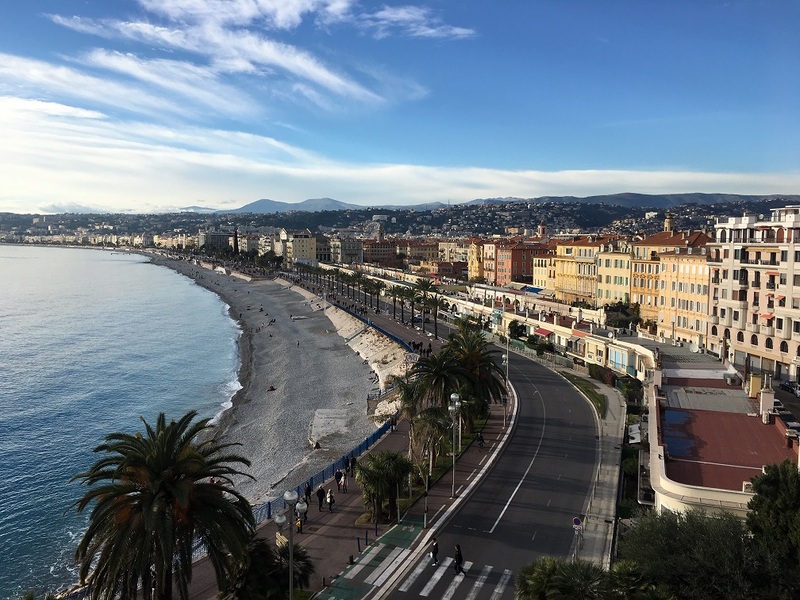 Nice is a year-round sunny paradise that sits next to the Mediterranean Sea in the southeastern part of France. It is France’s fifth largest city and it offers trendy restaurants, Art Deco architecture, beautiful beaches, and stunning sunsets. It is home to France’s upper class. 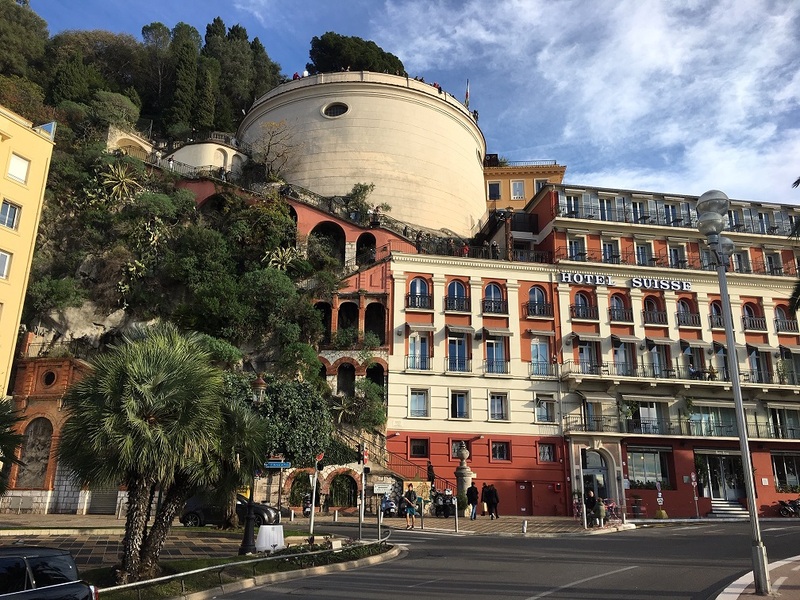 Nice’s popular harbor is crammed with beautiful yachts, its cliffs are filled with expensive homes, and its coastline has several exclusive resorts that are walled off from public view. 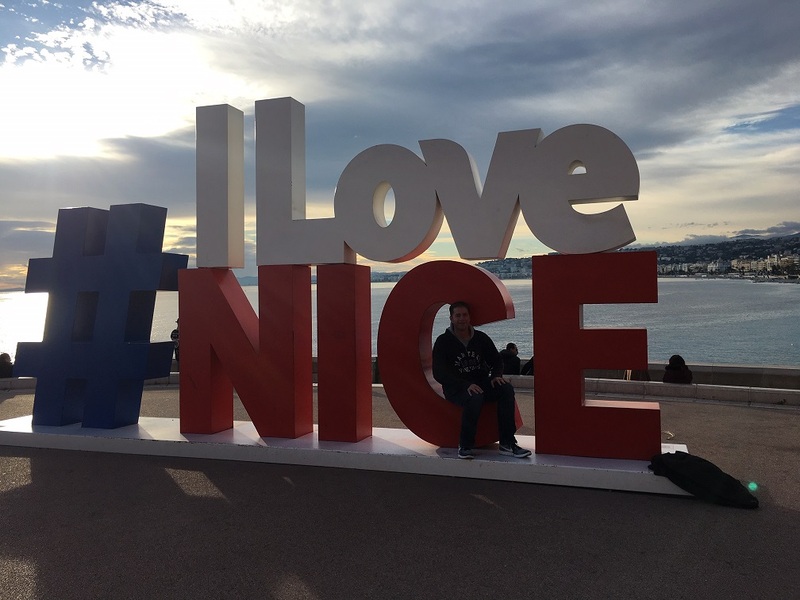 But Nice is also for the common tourist, offering inexpensive things to do and see. Nice also welcomes the LGBT community as many bars and clubs cater to the LGBT community. The Place Garibaldi, the beautiful central square that is filled with arcaded facades and graceful thin trees, is a perfect place to start exploring the city. 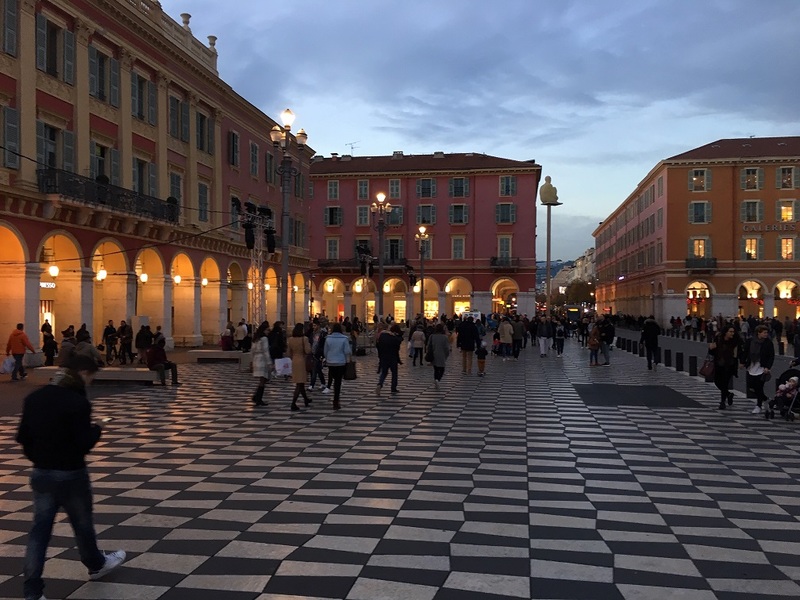 The square has a majestic fountain in its center with a statue of Giuseppe Garibaldi, the Italian hero that was responsible for unifying Italy. 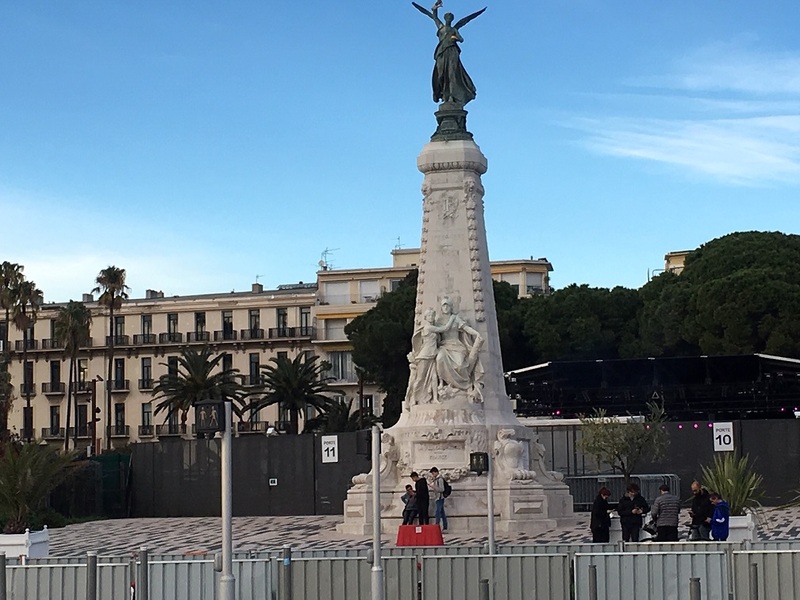 Garibaldi was born in Nice in 1807, and Nice had been annexed by the First French Empire in 1805. Place Garibaldi has shops, bars, and cafés including the popular Grand Café de Turin, known for its seafood and French wine. The area is only partly pedestrianized because it is crossed by a tramline and sits on the junction of several important thoroughfares, but it is still pedestrian friendly, you just have to watch out for moving vehicles. Close by is the Museum of Modern and Contemporary Art. It has over ten showrooms with spaces dedicated to New European Realism and American Pop Art (Andy Warhol and Tom Wesselmann). There are also two artists that are on permanent on display: Yves Klein, the inventor of the Blue Monochrome and fire paintings and Niki de Saint Phalle, iconic female artist, inventor of the famous Shooting Picture. A short walk along the beach and you are at the Castle Park (Parc du Chateau), also referred to as the Castle Hill (Colline du Chateau). 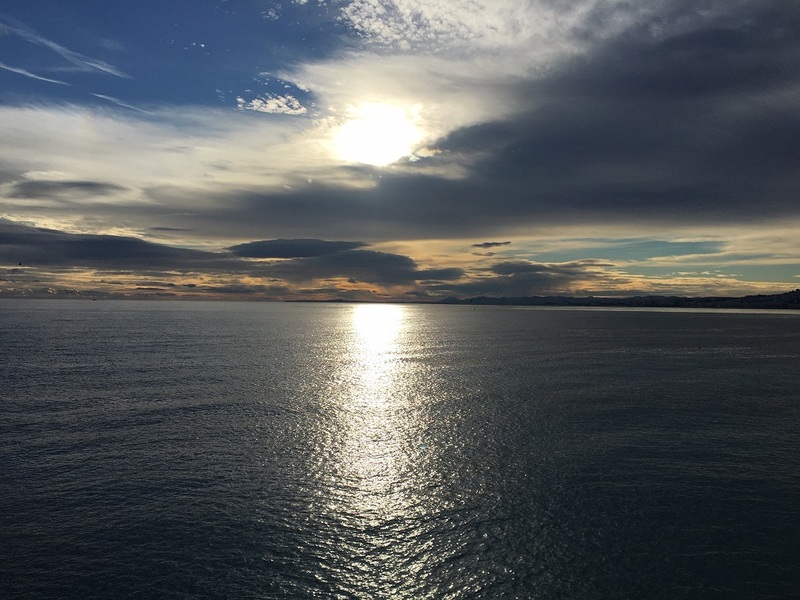 It is one of the city’s highest points and offers some of the best views of the Mediterranean Sea and Nice. Castle Park is also an archeological site because of its historical landmarks: the Belanda Tower (Tour Belanda) and a cemetery that was split into three sections based on religion. There is also a manmade waterfall that provides an interesting backdrop for pictures. The Promenade des Anglais is a famous long walkway that runs next to the beach. It is often filled with locals and tourists that enjoy the ocean and beach views without actually walking in the pebbled sand. There are a few beach bars and cafés located on the side. It is popular with bicyclists, baby strollers, and families. It has become a favorite place for skateboarders and performers. The Marche aux Fleurs Cours Saleya is a popular market that features the region’s flowers, foods and produce from the area’s farms. Tourists can try some of the local food or buy some inexpensive and locally made knickknacks. The Palais des Congrès Acropolis (formerly known as Parc Expo) is the city’s famous convention center. It hosts various fairs, concerts, operas, productions of shows and exhibitions. It hosted the 1999 Davis Cup final, where it was converted into a temporary tennis court. The convention center is memorable because it has a gigantic art piece that is a head inside a cube – something that resembles a Borg on an episode of Star Trek. Not only is the area influenced by Italy, but Russia also has influence. The St. Nicholas Orthodox Cathedral, an Eastern Orthodox cathedral, is also a popular tourist attraction. It is recognized as a national monument of France, and it currently belongs to the Moscow Patriarchate. It is the largest Eastern Orthodox cathedral in Western Europe. After a full day of sightseeing, the LGBT community has plenty of places to visit at night. Red Kafé is a gay bar that serves light meals, coffee, and imported wine and cocktails. It is only a couple minutes from the beach, so when the sun goes down, a sun worshiper has a place to show off his or her tan. The Le Couloir is a cozy café bar that offers great drinks and local beers. The la cave Wilson is a beautifully decorated gay bar that offers a one-of-a-kind environment. Its unique pictures delivers a museum feel. High Club is an LGBT friendly night club that has a mixed crowd. It is the area’s largest dance club with state-of-the-art light and sound system features. Le GLAM is the area’s most popular LGBT night club. DJs play techno, house, and dance music. There is also regular themed parties with drag shows. 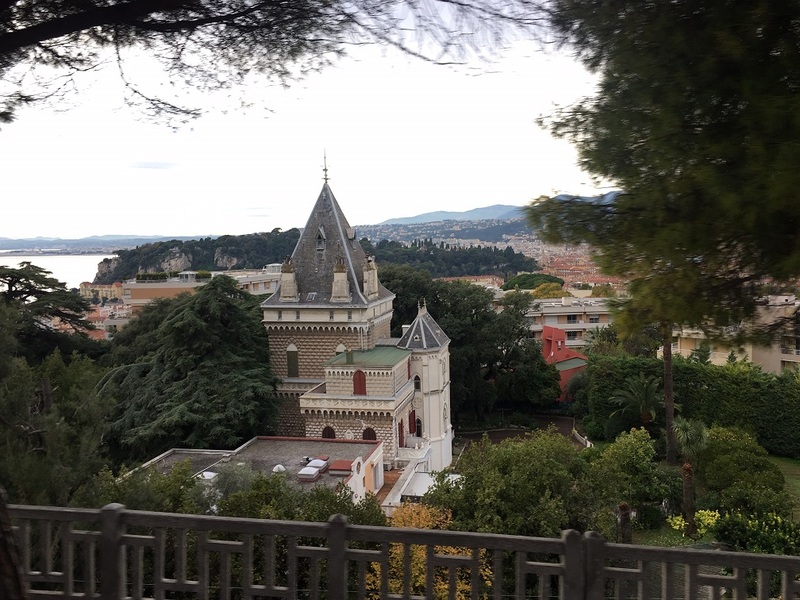 So if France is on your destination list, add Nice as a city to visit.